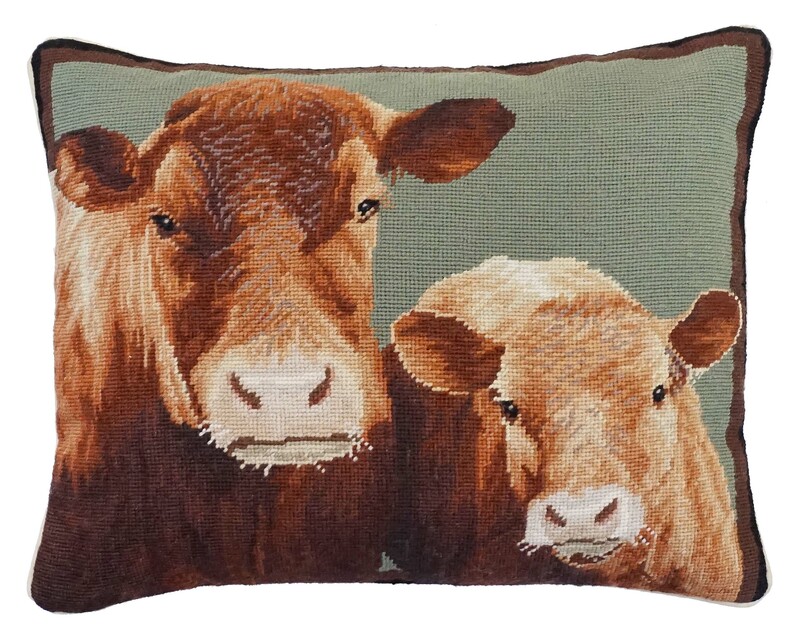 Handmade 16"x20" needlepoint pillow of mother cow and her calf. 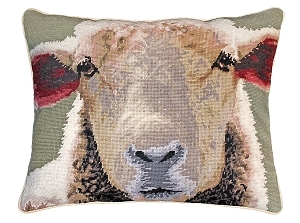 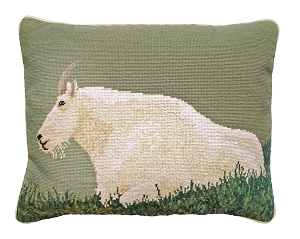 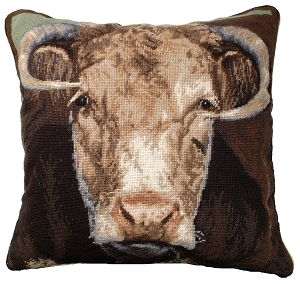 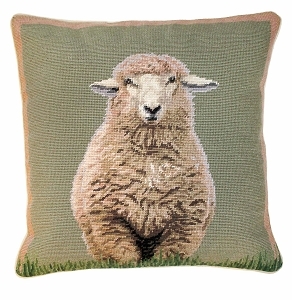 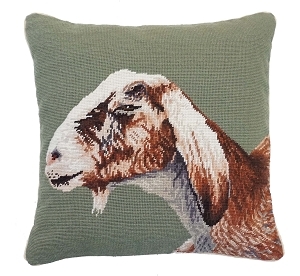 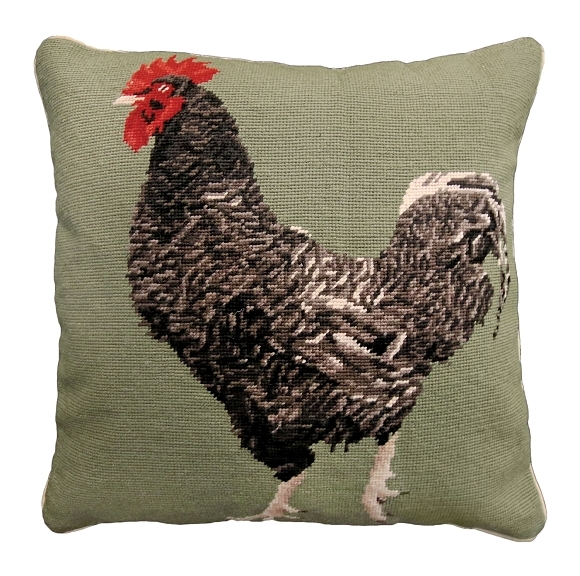 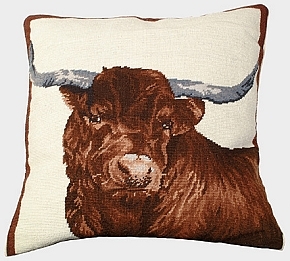 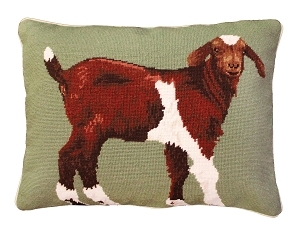 Rich browns and creamy whites make this pillow very realistic. 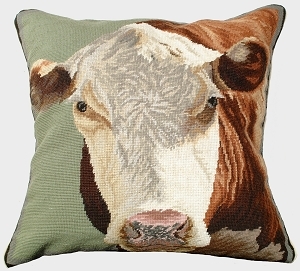 Soft green field behind the cows. 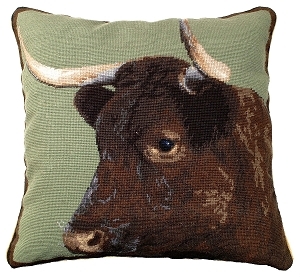 A must for all Cattle lovers. 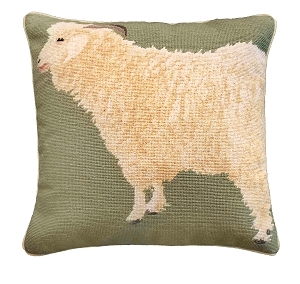 Companion pillow to: NCU186 Hereford, NCU789 Black Angus, NCU199 Ralph the Bull , NCU198 Devon , NCU788 Sitting Fox, NCU785 Standing Sheep, NCU786 Sheep Face, NCU787 Baby Sheep, NCU928 Mountain Goat, NCU789 Angora, NCU798 Billy Goat and NCU951 Nubian Goat pillow. 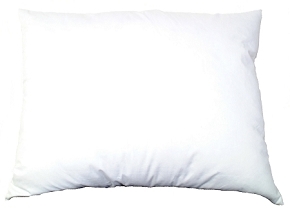 All pillows come with a poly insert. 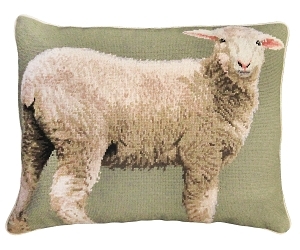 Down Stuffers are available as a luxurious alternative. 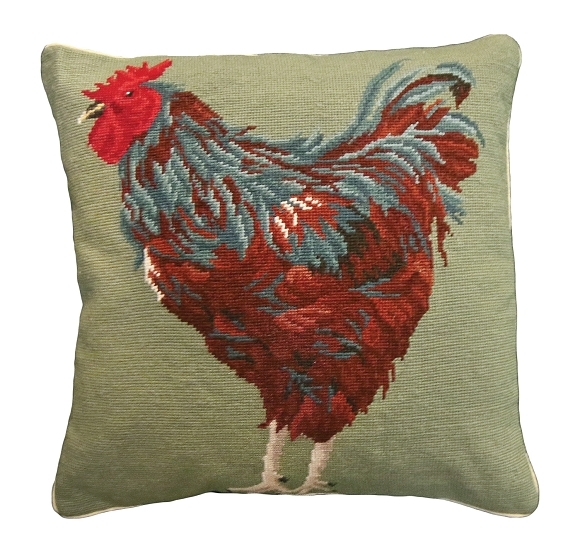 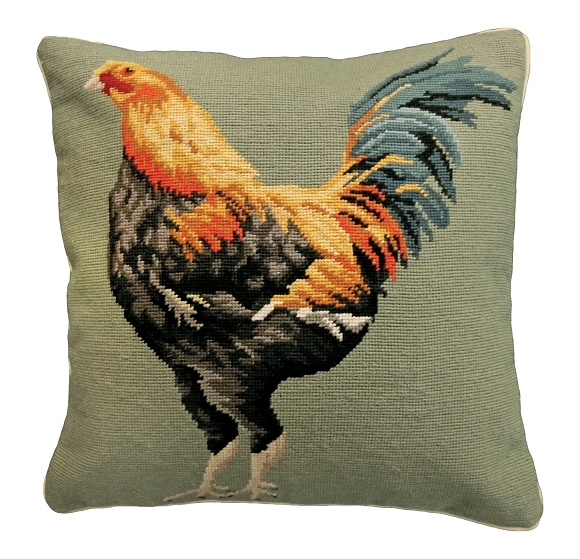 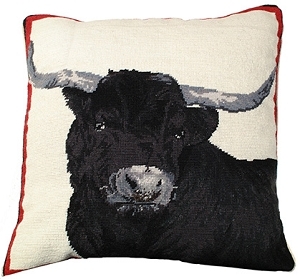 Look for Part Number SD-1620 for a Down Stuffer suitable to give your 16"x20" pillow a classic 'overstuffed' look.